The first of two companion volumes which documents the later writing of The Silmarillion, Tolkien's epic tale of war. After the The Lord of the Rings was at last achieved, J R R Tolkien turned his attention once again to 'the Matter of the Elder Days'. The text of the Annals of Aman, the 'Blessed Land' in the far West, is given in full; while in writings hitherto unknown is seen the nature of the problems that Tolkien explored in his later years, as new and radical ideas, portending upheaval in the old narratives, emerged at the heart of the mythology, and as the destinies of Men and Elves, mortals and immortals, ecame of central significance, together with a vastly enlarged perception of the evil of Melkor, the Shadow upon Arda. 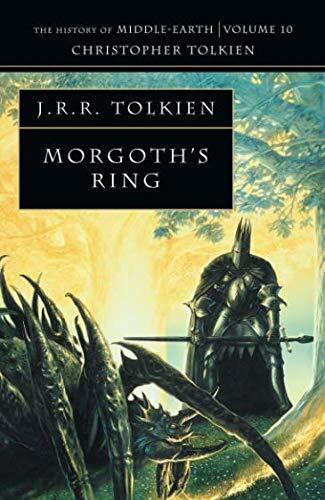 The second part of this history of the later Silmarillion is concerned with developments in the legends of Beleriand after the completion of The Lord of the Rings.